I love this game but I don't like how you unlock all the areas and then you don't have anything else to update. Also, I want you to add packages.You could put the food in the box and tape it up and then put it in the truck and drive it to a house or something. 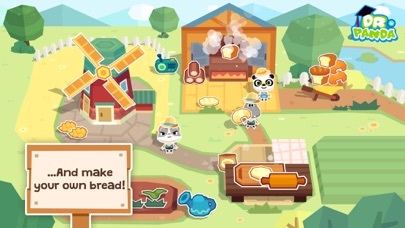 ( but you could also just sell it at the market) Also, you could add more food like corn, tomato soup where you smash the tomatoes and poor them in a can I also think you should add an app.You could take a character and dress it up , give it a bath and put it to sleep and give it breakfast.And then in the morning you can take it to work as a farmer . 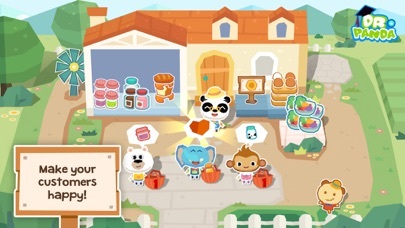 Dr Panda is definitely a fun game for suitable for children as young as 3 -although some young children may need some assistance unlocking each of the different production areas. 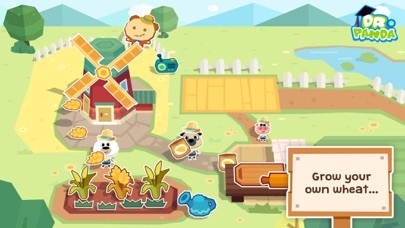 Additionally, the app does offer a game environment which is supportive for a young child conceptual development of certain science and early math frameworks. However, it is important to note, the "core" of the Dr Panda is that of entertainment and not of education. This does not mean Dr Panda is not or could not be used in a constructive manner to promote learning. 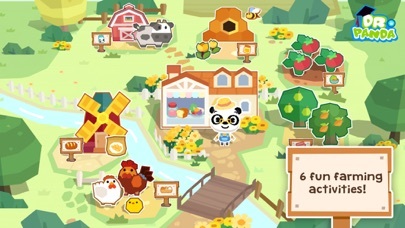 Indeed, Dr Panda can be used to promote a child early understanding of addition and subtraction facts 0-5; especially when a parent or other adult plays with the child and encourages he/she to think more deeply with questions/ statements such as: I see you have 2 customers wanting honey, but you can only make 5 jars of honey at a time. How many jars will you have left, after you give 2 jars to your customers. This type of dialogue between caregiver and child will not only triple the boost to a child's educational skills; it will open the door for the child's understanding in many other cognitive domains. 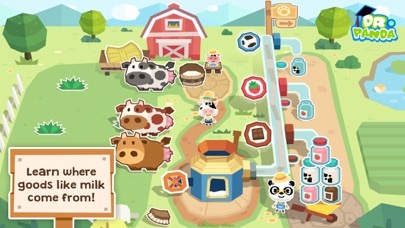 Final Thoughts: Since gameplay throughout the farm requires precise fine motor skills - most beneficial for young children who are learning to write- I would encourage children to occasionally play this app using a stylus. As these pre-writers work to twirl the windmill and place eggs in a carton, they will be developing the same muscles needed to write letters and words.